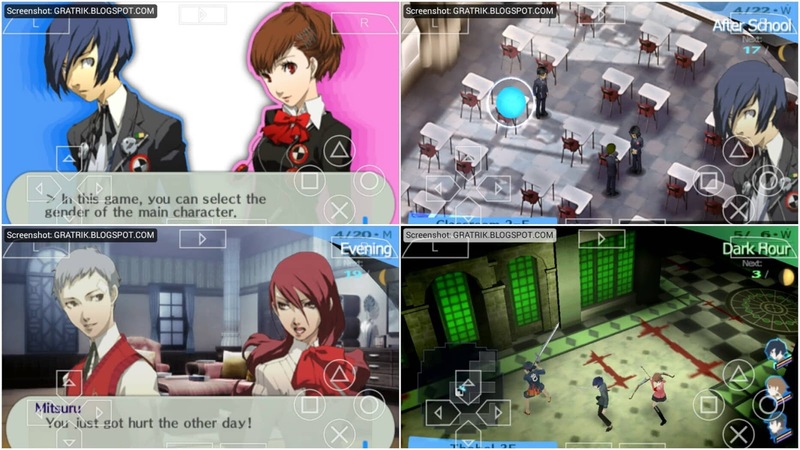 Persona is recognized as a fine JRPG game franchise from publisher Atlus and Persona 3 is one of the most memorable series in Persona's fans heart from the franchise. 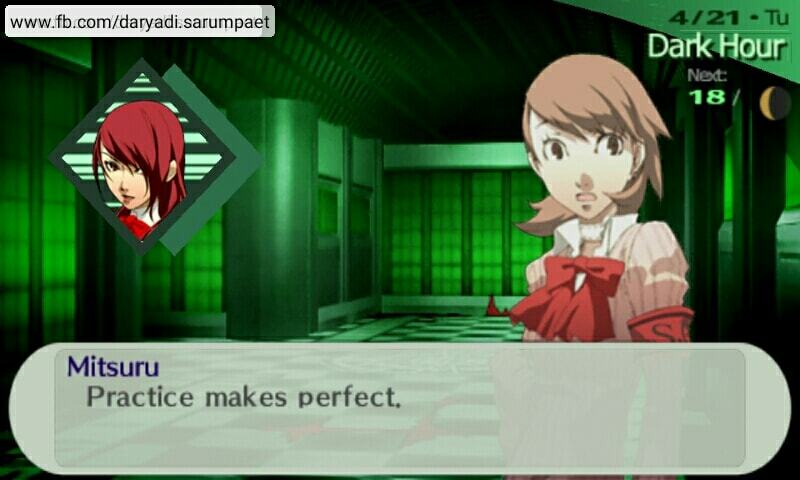 Persona 3 Portable PSP game is the port of Persona 3 game on Playstation 2 with less, but more things. genre RPG (Role Playing Game), Turn-based, Strategy. 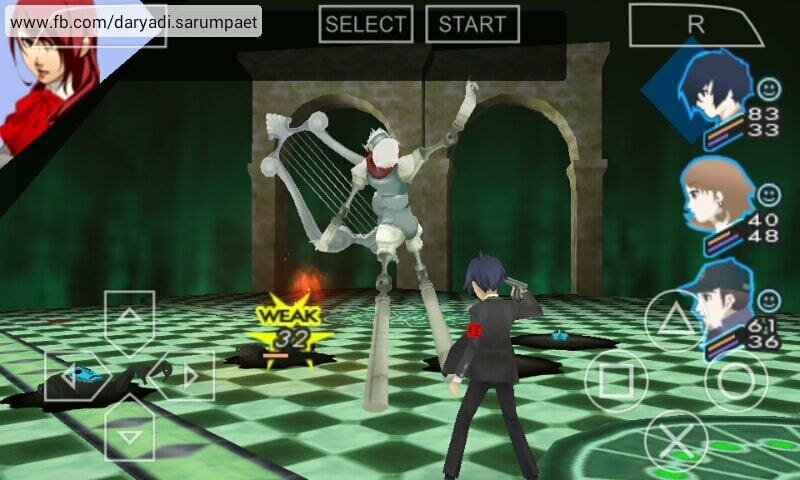 Persona 3 Portable PSP game is a state-of-the-art JRPG game. The story following a group of high school students who has a special ability to summon a manifestation of power of his/herself called Persona. Their mission is to extinct what called Shadow, a creature that feed on human emotions. Starting from wake up in the morning, going to school, socialize, and fight on Tartarus, the shadow's nest at midnight. Getting good at school means increase your skill, socialize means make your Personas stronger, and fighting at midnight to execute your mission as a Persona user. So if we want to make a 100% completion of the game we must wisely using times and opportunites. There are also some sims elements like health and dating. If you overworked the party and their body condition drop, their strength in battle will be reduced or cannot going to battle at all if they are sick. Player choices in dialogues can affect the like/hate meter of the related person, and eventually we can build some kind of romantic interest towards the girls or the boy (if you play as a girl). The battle system is turn based. 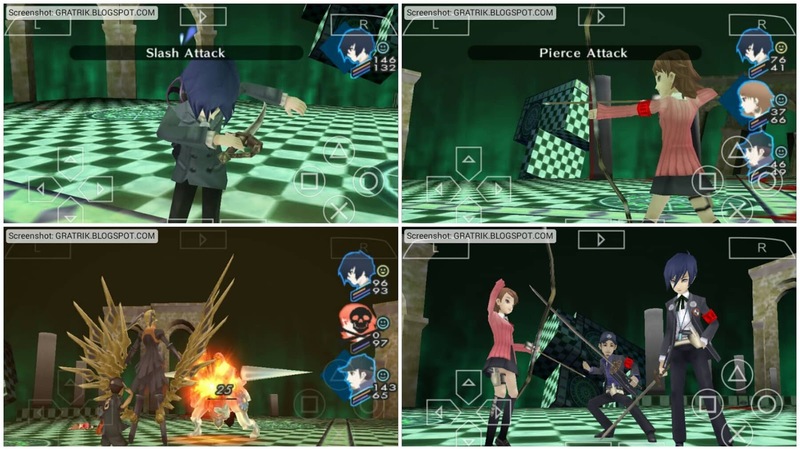 Elements such as fire, ice, darkness, etc also exist in Persona 3 Portable and it is a must to use the advantages if you want going smoothly in the battles, especially boss battles. Weapons, armors, items, hunting (hunting Personas), everything you need in a JRPG game. Some special armors even really change the characters appearance. Oh and one more thing, Persona 3 also has four OVA anime movie released. 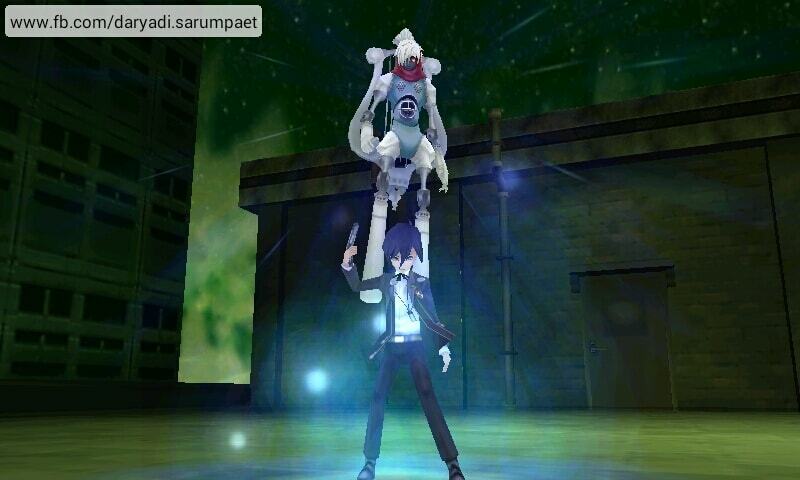 The story of Persona 3 movie is really following the game. Boy version: Makoto Yuuki (I take the name from the anime) just transferred into a new school and new town as a Junior high schooler. But his transfer into a new town is nothing but a fate where he found himself to be a Persona user, and a unique one with wildcard ability (Possess multiple Persona). There Yuuki joined with SEES, a secret extracullicular school club formed of students who has ability to summon Persona with mission to extinct shadows and seeking a way vanish the dark hour in order to protect save the citizens from shadow threat. Girl version: I don't know 'cause I never played using girl character. But, probably the plot are same except it is from a girl perspective :D (probably). 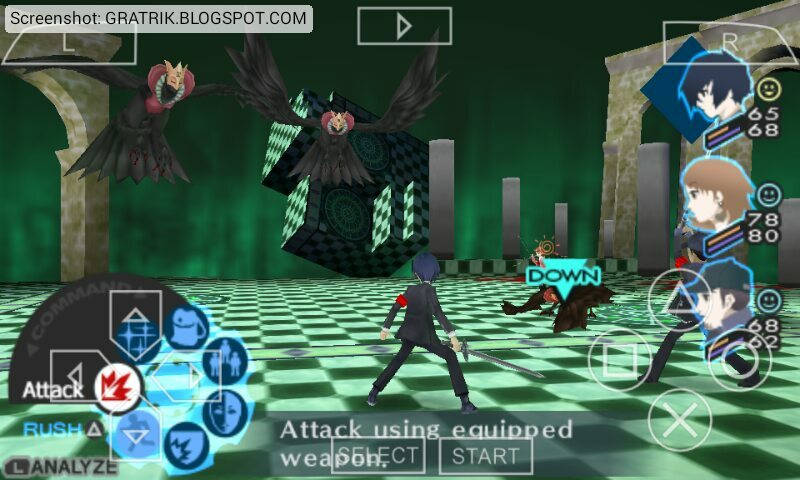 Comments (0) in "Persona 3 Portable PSP Game on Emulator"